Nodegrid 3.0 is based on the latest 64-bit Linux OS and delivers key features requested by ZPE Systems’ global customers in the OOB IT Infrastructure Management market. Features like Zero-Touch Provisioning for easy and simple configuration; Environmental and Power Monitoring with NodeStash™ data collection, correlation, natural language search and dashboard; Vendor-Neutral Power Management for VMs, IPMI and PDUs; Embedded Docker Apps Integration; and Browser-in-a-Container for secure HTML5 navigation to IT infrastructure devices without deprecated NPAPI/Java code viewers. In addition, Nodegrid supports more devices than ever. The vendor-neutral Nodegrid platform expands vendor support for seamless IT device and converged infrastructure management to include: HP/Dell/IBM/Nutanix/EMC Converged Infrastructures, VMware, KVM, Cisco UCS, Redfish, Intel IPMI, Dell iDRAC, HP iLO, IBM IMM, Oracle ILOM, OpenStack, AWS, Azure, NetApp, EMC, Avocent/Emerson, Raritan/Legrand, ServerTech and APC/Schneider, with more names coming every month. Nodegrid monitors and displays relevant data center fitness indicators for all of these platforms. Nodegrid NodeStash continuously measures critical data points of all managed devices in your multi-vendor IT Infrastructure. 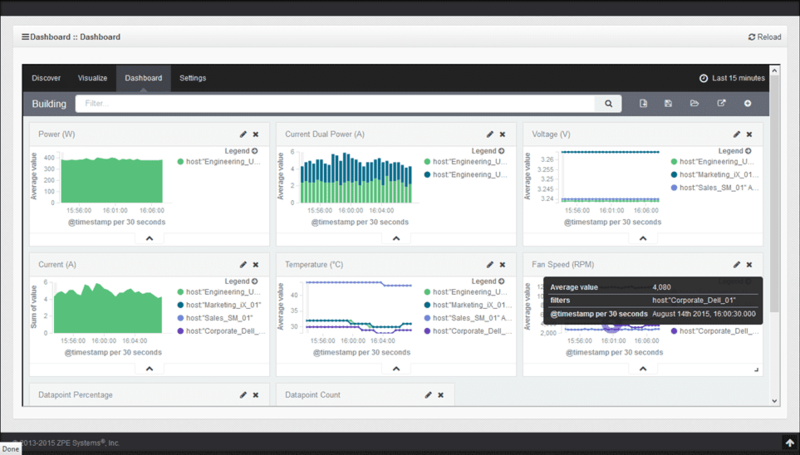 Nodegrid monitors your devices via IPMI, SNMP, SSH and various other protocols to provide vital information regarding power draw, temperature and other critical data center environment variables, that can be displayed in one centralized view. All ZPE Systems products are available now and shipping globally with Nodegrid 3.0. Share the post "Nodegrid 3.0 Generally Available"